AES Technologies is a prominent name in Mobile software development and we are committed to deliver custom Mobile software development services at affordable rates. Possessing the right blend of skills, creativity, experience and technical knowledge, we provide quality solutions that are robust and scalable. Our highly dexterous team of developers is very enthusiastic and work towards delivering high quality, cost effective product in a stipulated time frame. Our mobile applications are interoperable and posses rich video and sound support. We work towards developing products that has speedy access and instant availability. Strict adherence to the mobile software development process like requirements analysis, project architecture and design, application development, testing, launch, and post release application maintenance has helped us in maintaining our rank as the top notch mobile software developer. We have a unique expertise for our Mobility solutions and our products stand out in terms of rich functionalities. 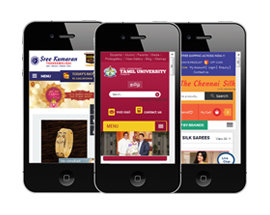 We provide mobile application development as well as Mobile web Application Development services. 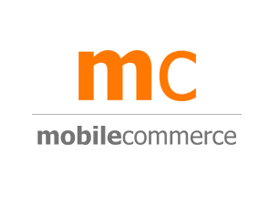 All our Mcommerce sites are generating high returns, keeping our patrons blissful and satisfied. 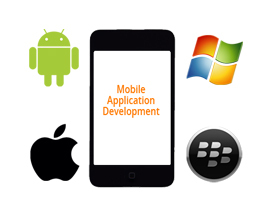 We specialize in the development of native applications for iPhone, iPad, and Android. Keep up with the growing technology, be trendy and take full advantage of the mobile technology to rule the future! Our vibrant team has it all!